Rhodes State College recently entered into a consortium with Marion Technical College, in order to offer Rhodes State students the opportunity to obtain an Associate of Applied Science degree in Medical Laboratory Technology. The program began Fall quarter 2008. Students will obtain their general education requirements here at Rhodes and take their technical training classes at Marion Technical College. Students who are interested in the MLT program must enroll at Marion Technical College (MTC) while attending Rhodes State College. Students will participate in distance education formats, such as live video conferencing, web casting, pod casting and other distance modalities. Students must take at least 25 credit hours of their general education classes at Rhodes State. Medical Laboratory Technician courses are offered in a blended format, using the distance education and live laboratory sessions at Marion one day a week. Clinical education experiences may be available in the local area and will be arranged during the last quarter in the program. Upon successful completion of the program, students received an Associate’s Degree from Marion Technical College. The program is designed to teach students how to collect and process specimens, perform basic analytical tests, monitor quality control and solve medical laboratory problems. Students in the program receive instruction in classroom sessions, lab practices and clinical experiences. 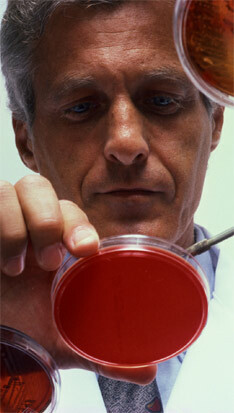 Acceptance and qualification into the Medical Laboratory Technician program is determined by Marion Technical College. Students are required to apply at Marion Technical College for general admission, as well as admission into the MLT program. If you would like to hear more details about the MLT program, please contact the Advising Center at 419-995-8400 to arrange an appointment with Heather Flanagan, Pathway Coordinator, or Marcee Graymire, Academic Advisor for the Allied Health Programs at Rhodes State. Rhodes State is proud to partner with Marion Technical College in offering the Medical Laboratory Technology program. The program is designed to teach students how to collect and process specimens, perform basic analytical tests, monitor quality control and recognize and solve medical laboratory problems. Students in the program receive instruction in classroom sessions, lab practices and a field clinical experience. Graduates may work in several areas of the clinical laboratory, or specialize in one field. Medical laboratory technicians are a critical part of any health care team, serving as the ‘detective’ that turns clues into useful diagnostic statements. An associate degree is awarded from Marion Technical College upon successful completion of the program and students are eligible to take the appropriate state and national certification examinations offered by agencies, such as the American Society of Clinical Pathologists and the National Credentialing Agency for Laboratory Personnel. Students can enroll at Marion Technical College (MTC) while attending Rhodes State College with the help of distance education formats, such as live video teleconferencing, web casting, pod casting and other distance modalities. Rhodes State students can take their general education core courses at Rhodes State and become enrolled in the Marion Laboratory Technology program at Marion Technical College with a reduction in travel, due to the use of distance education. Clinical education experiences may be available in the Lima area as well.Upon graduation, you can fulfill your goal of obtaining an Associate’s Degree in Medical Laboratory Technology through this consortium partnership with Marion Technical College. More than 297,000 individuals are involved in providing more than 10 billion diagnostic tests each year in the U.S.; national industry growth is expected to be between 10 percent and 20 percent through 2012; Ohio expects a 3 percent job growth in this profession through the year 2010. 2. Submit an application for admission to Marion Technical College with $20 application fee. (if applicable) to both Rhodes State College and Marion Technical College. 4. Apply for Financial Aid by submitting a FAFSA (Free Application for Federal Student Aid) form (this can be done online). Enter both Marion Technical College and Rhodes State College School Codes. 5. Complete the Compass Test; you will receive more information about this test in your acceptance letter from Rhodes. “A”, three courses with grades of “B” or better or four courses with grades of “C” or better. 2. Successful completion of the Basic Skill Assessment [COMPASS] in reading, writing and mathematics [algebra]. include successful completion of biology, chemistry and algebra. is required for program admission. Minimum accumulative GPA of 2.0 is required for program continuation and completion. 6. Complete the MTC Medical Laboratory Technology application. drug-related arrests as specified in Senate Bill 38 and House Bill 160, will be ineligible for admission into the program. A complete listing of all requirements and policies/procedures for the program is available in the MTC Medical Sciences Student Handbook. Marion Technical College’s Medical Laboratory Technology program is accredited by the National Accrediting Agency for Clinical Laboratory Sciences [NAACLS, 8410 West Bryn Mawr Avenue, Suite 670, Chicago, IL 60631, 773-714-8880, www.naacls.org]. All applicants accepted in the MLT program must be able to meet the non-academic technical standards of the program. Students are asked to review the standards in the MTC Medical Sciences Student Handbook. To provide Allied Health students with a personal and professional learning centered education.